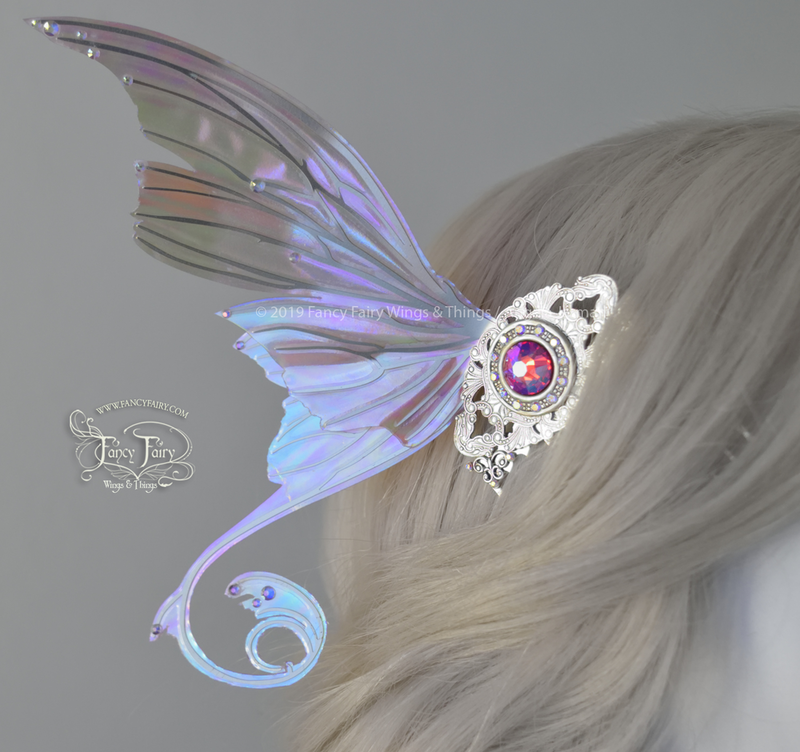 New Doll Wings and Winged Hair Accessories! 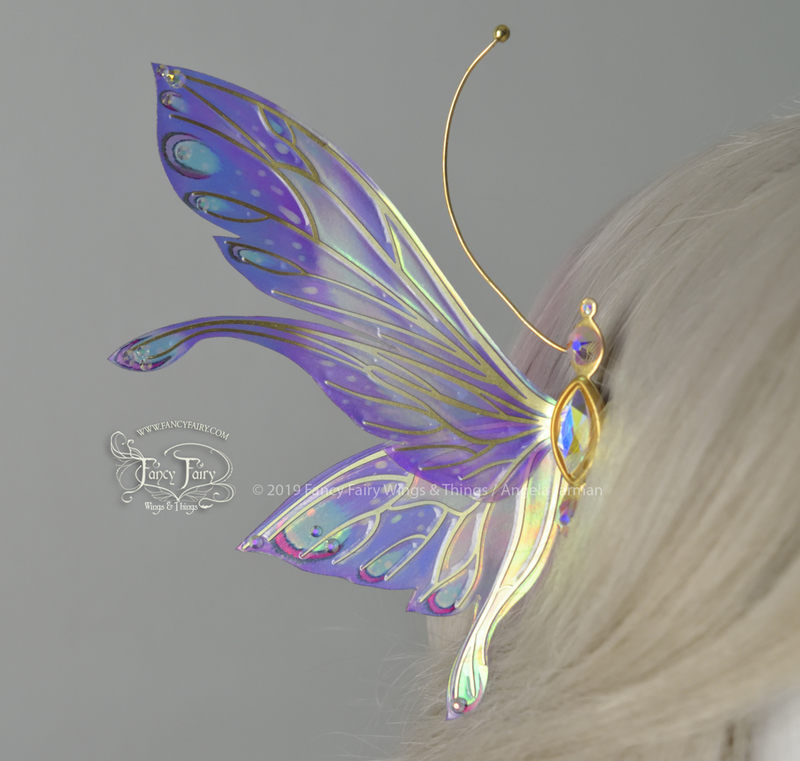 Tomorrow evening, January 25 at 8pm Pacific Standard Time I will be listing at least 3 sets of winged hair accessories and at least 3 sets of loose doll wings. 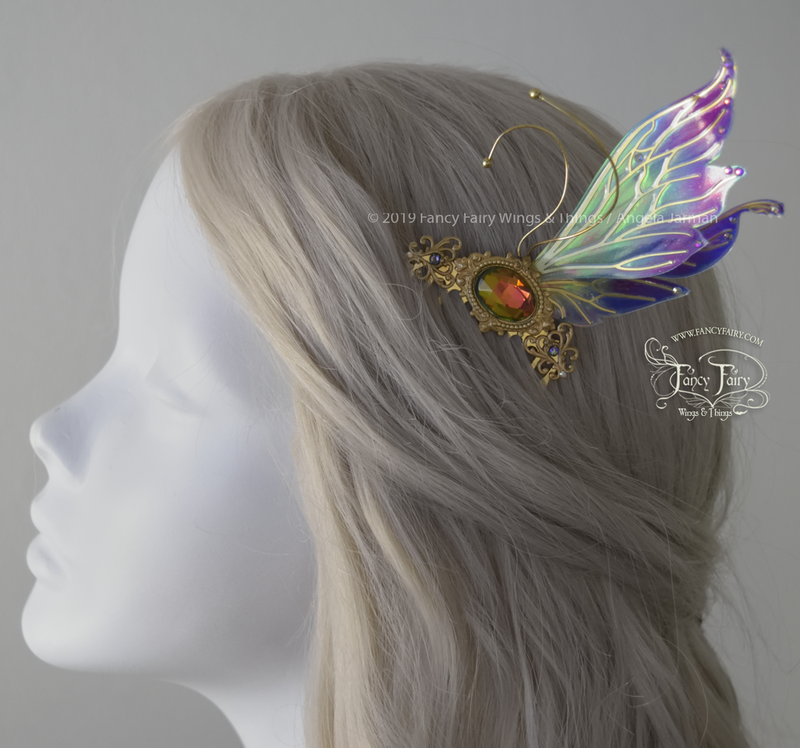 If I manage to get more of either type made I’ll definitely notify my followers, make sure you’re on the mailing list - sign up widget to the right of this page on desktop, or at the bottom on mobile. 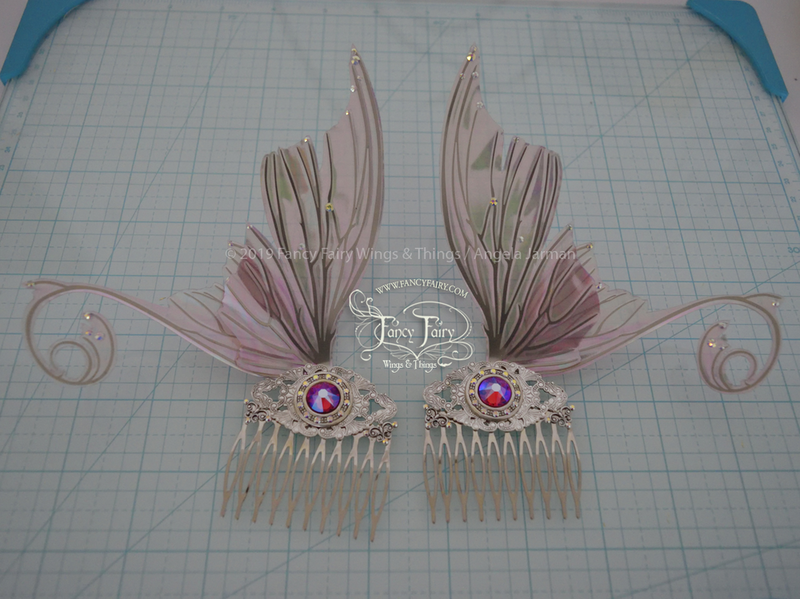 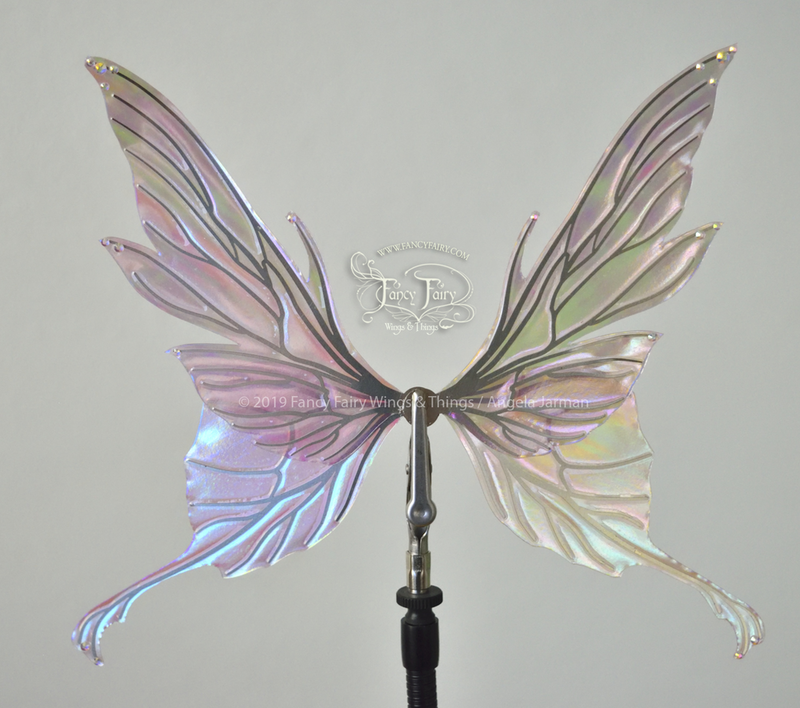 Above are the Aphrodite Sugarplum Silver winged hair combs set with a large lavender iridescent Swarovski crystal in the silver setting, with various other AB Swarovski crystals embellishing the setting and wings themselves. 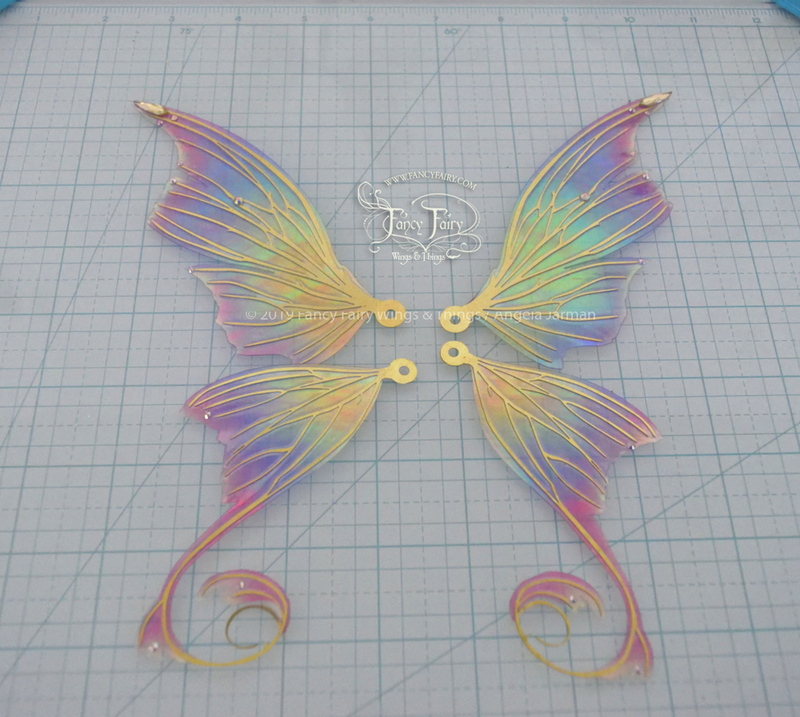 Made with the Pastel Lavender film. 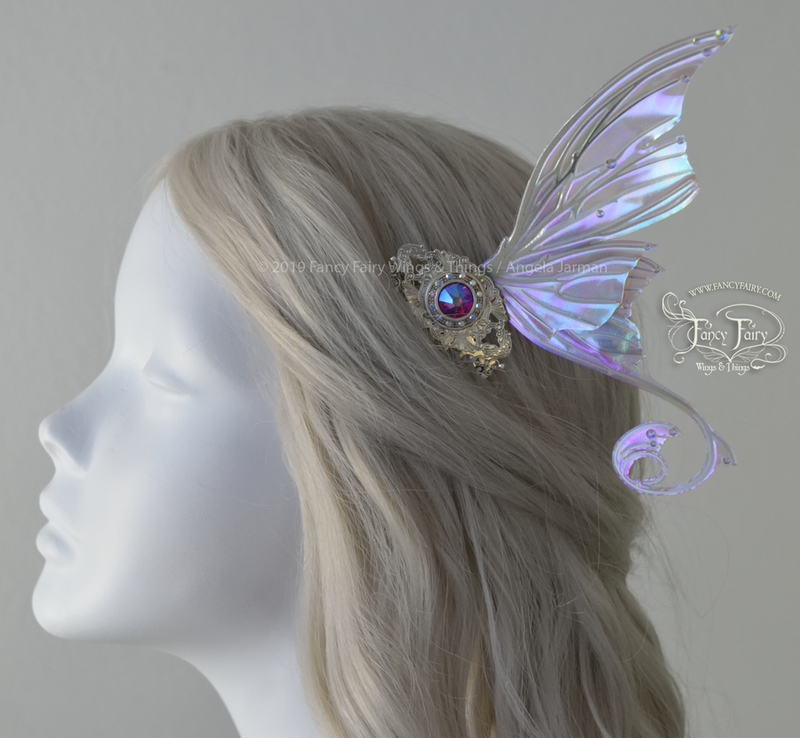 Below are more photos of those, as well as the Vivienne ‘Blue Orchid’ brass hair comb set, and the Salome ‘Lavender Butterfly’ hair pins. 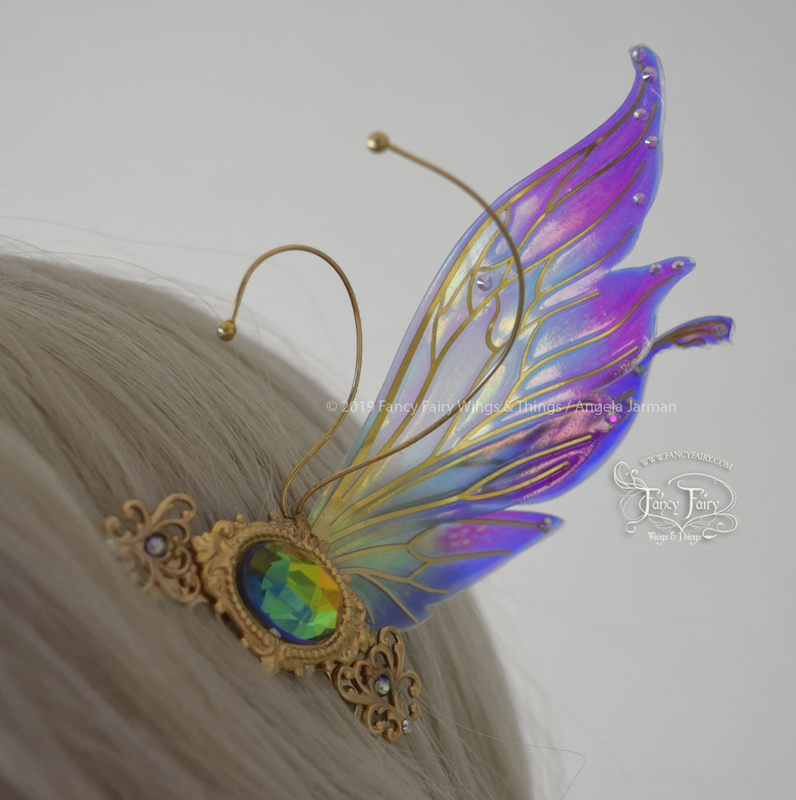 Also included in this sale will be a few sets of loose doll fairy wings! 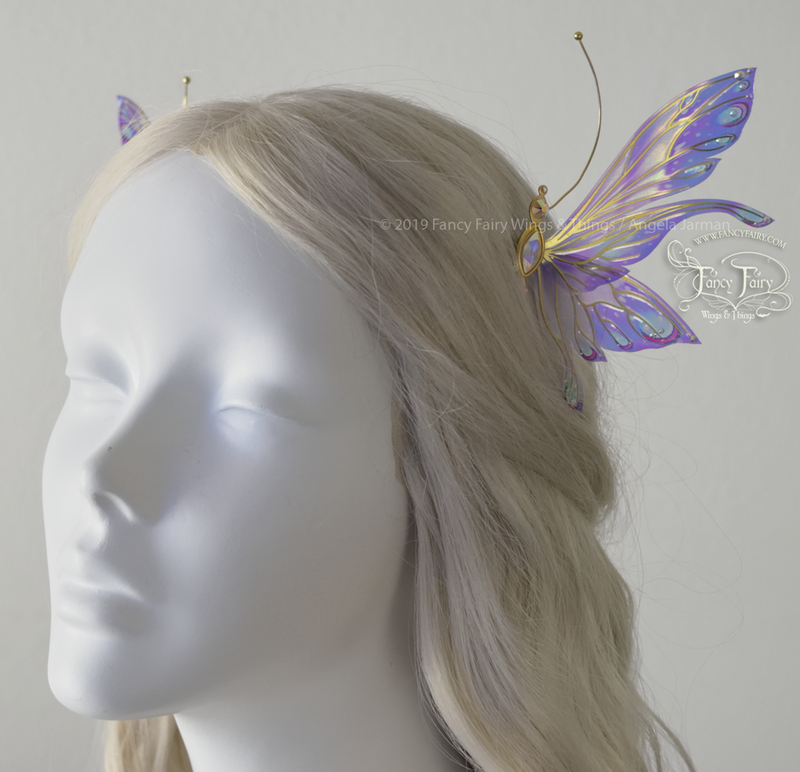 One set of 5 inch Aphrodite wings in the pastel rainbow palette on Satin White film with brass veins, one set of 5 inch Aynia wings in Pastel Lavender with silver veins, and one set of 5 inch Morgana wings also in Pastel Lavender with silver veins. 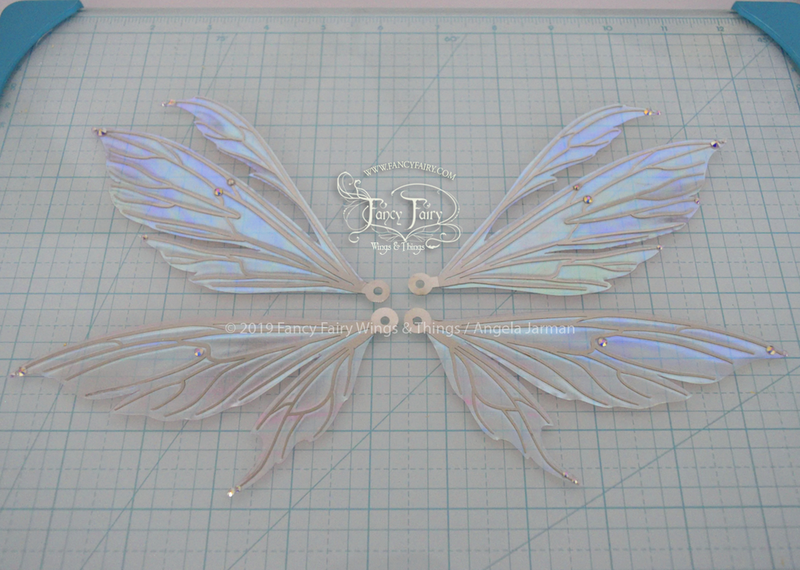 All have been embellished with Swarovski AB crystals, the larger stones are other brands. 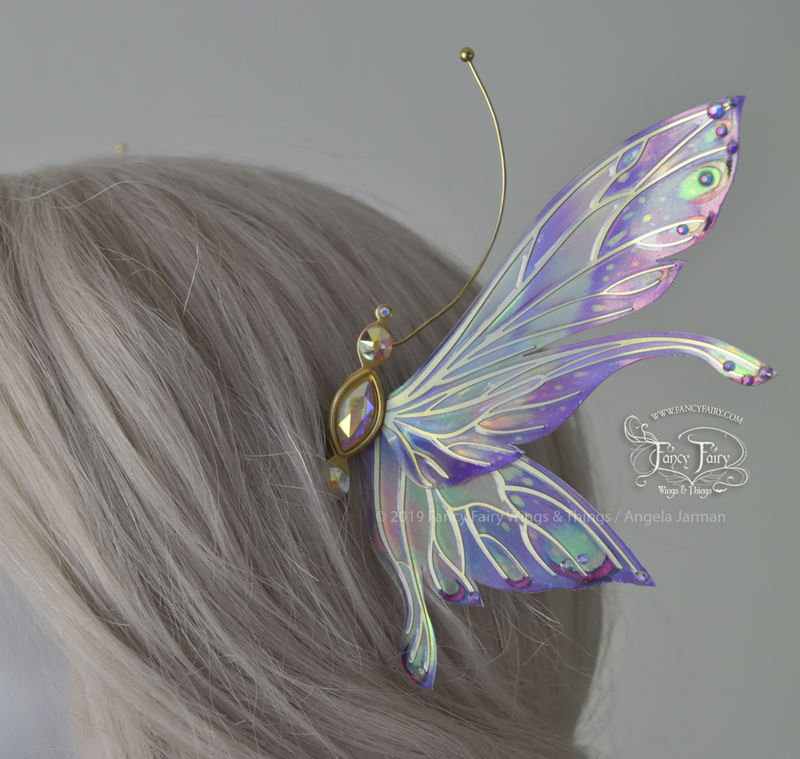 The Pastel Lavender is a hybrid of the Lilac and Satin White films that I fused together. 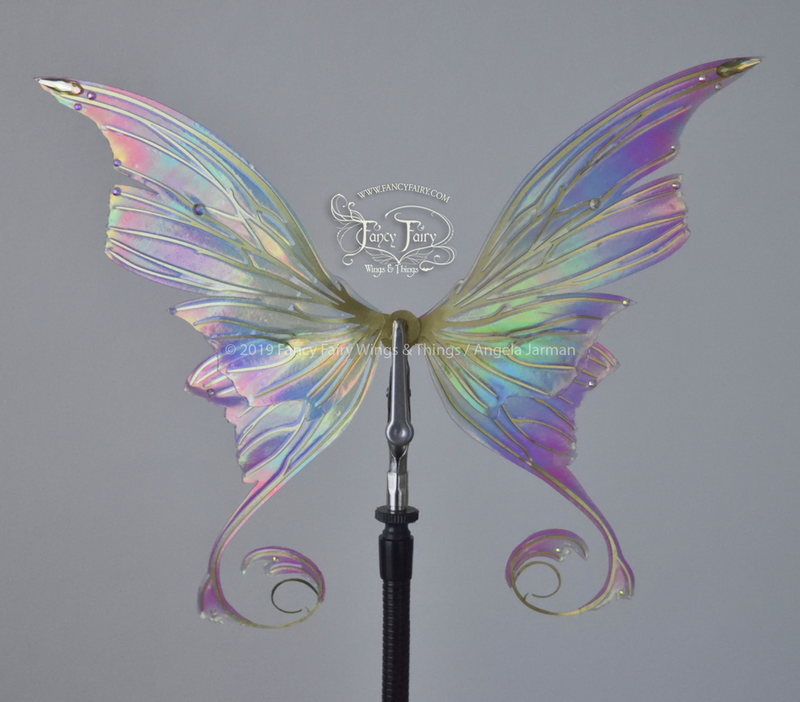 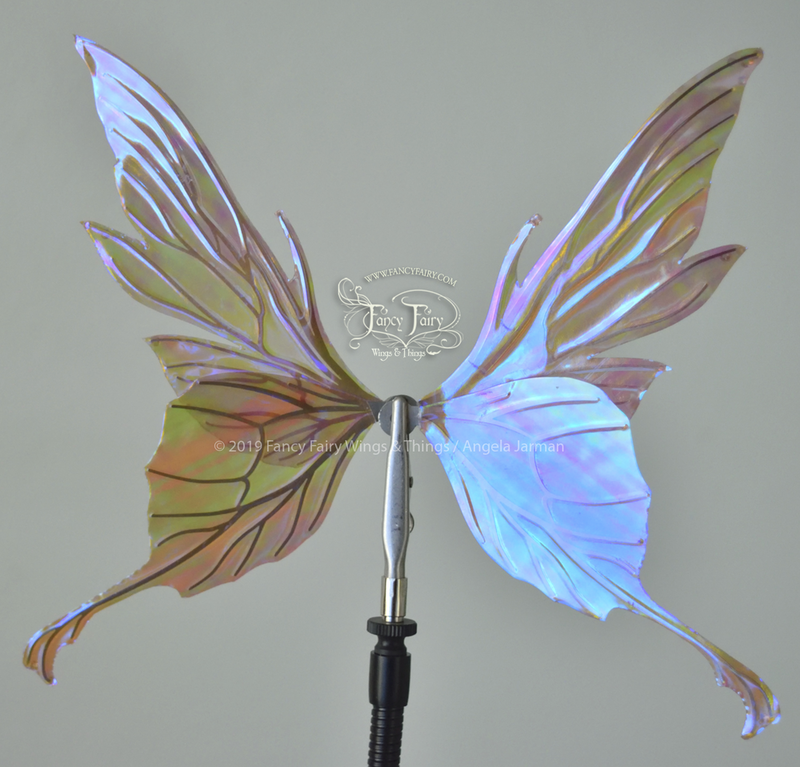 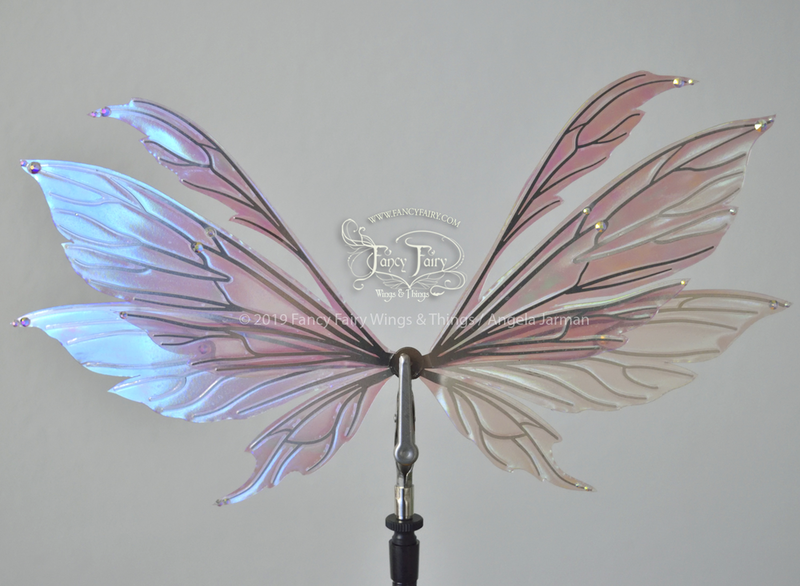 Below are photos of the doll wings.